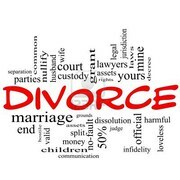 Going through a divorce, considering divorce, or trying to move on after a divorce? We can help. No need to go it alone, disasters are always better worked through with sup[ort and camaraderie. I never would have believed it five years ago – I’m not much of a group-joiner myself. If you’ve been thinking about coming to a support meeting or event, now’s the time to act on that impulse! We meet the first and third Wednesdays of every month, at the Church of the Good Shepherd, 9 Russell Avenue, Watertown, MA – in the upper parish hall at 7:00pm. There’ll be lots of friendly people there – all of whom are going through divorces, just like you. They’re all at different stages, so you’ll get a chance to see some people in deep distress, and others who will let you see that recovery is possible, that life can and will go back to normal. If you need help or advice, or just want to listen or talk, join us.